Our attractive lap band surgery packages for Mexico begin from $5,250. *Fill our online estimate-form for the latest prices and specials. On an average, patients can expect to stay in the hospital for 1 night. Tijuana – For your lap band in Tijuana, we work with a leading hospital here which is conveniently located only 3-4 blocks from the San Ysidro Port of Entry. Learn more on the hospital features here. Puerto Vallarta – Your gastric band surgery in PVR will be conducted in a state-of-the-art hospital which features an ICU, water purification system, English-speaking board certified doctors and a lot more. This hospital in Puerto Vallarta has been serving the area for more than three decades. Cancun – The hospital we work with in Cancun for lap band surgery has a successful track record of 25 years. More on this hospital here. Guadalajara – Our network hospital In Guadalajara is known for providing quality care at just a fraction of the American prices. Mexicali – Your lap band surgery in Mexicali will be performed in a hospital which was established primarily to provide high quality yet affordable medical services to Americans from across the border. The hospital is a stickler for high standards of patient care rivaling those in the United States. If your body mass index (BMI) exceeds 30, you may qualify for lap banding in Mexico with us. There are some exceptions for a lower BMI as well. Please note that only the doctor can decide on qualifications based on analysis of the candidate’s medical questionnaire. Why Choose Mexico for Your Surgery? You save a lot – almost 70% of what you would have to pay in the United States. You do not have to wait long for scheduling your surgery. The leading cities of the country are quite “Americanized”. The country has a sizeable retired American population; so you won’t feel you are in a foreign land. Language barriers are virtually absent as medical staff employed in our network hospitals are English-speaking. Lap band surgery assists in weight loss by making the stomach smaller, which limits the amount of food that can be consumed. It involves making tiny incisions in the belly to insert a small flexible silicone band that is wrapped around the top part of the stomach. This divides the stomach into a tiny upper pouch that is linked to the larger lower part of the stomach through a narrow channel. With food being stored in the upper pouch and slowly released through the narrow passage into the lower section, the patient feels satiated relatively sooner. 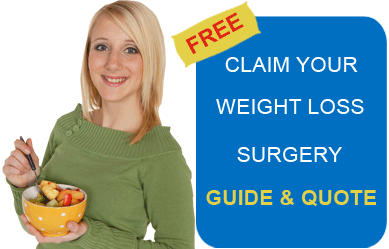 This limits the caloric intake of the patient and results in weight loss. The silicone band is adjustable and can be resized using saline injections that can be administered through a subcutaneous injection port installed in the stomach during the lap band surgery. To prepare your body for surgery and recuperation, you will be put on a special pre-op diet two weeks prior to your surgery. This diet will help reduce visceral fat around the stomach and liver. You will have to consume more and more proteins to retain and protect your muscle tissue. Your caloric intake will be restricted to 800-1200 calories per day. You will have to quit smoking at least a month before your surgery. You will have to work out at least 20 minutes a day, three times a week. You will be put on a clear liquid diet for two days after your surgery. You will then be able to have full liquids such as cream soups, protein shakes and yogurt for about two weeks. After about a fortnight, you will be able to transition to pureed foods. 4-8 weeks after your surgery, you will be able to eat normal foods. Make sure you focus more on healthy, low-fat and protein-rich foods. Eat slowly and chew your meals well. Keep yourself well hydrated by drinking 64 ounces of liquids every day. We, at BSW, hold customer satisfaction in high regard. And hence have a huge compendium of positive feedback and testimonial. In one such lap band Mexico review, Darlin Pitts from Texas is all praise for her experience. Submit the free quote request form on the right for more information.